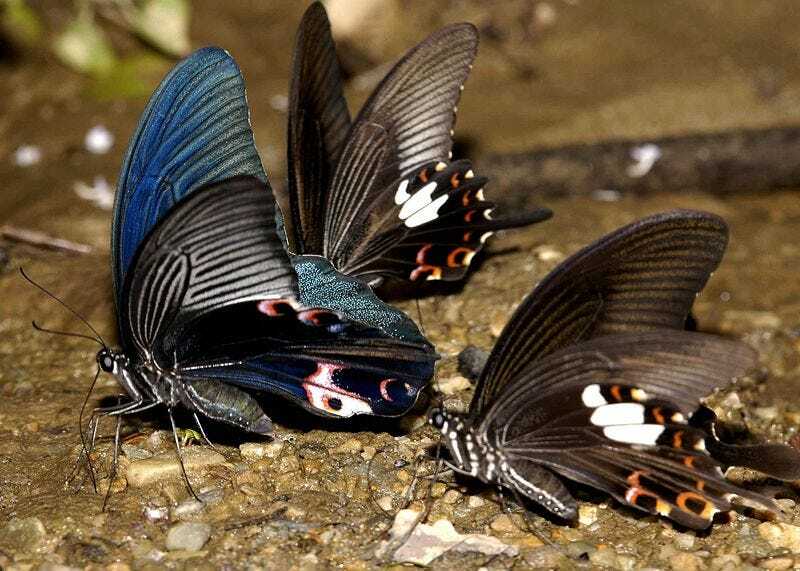 Chinese researchers have turned to the light absorbing properties of butterfly wings to significantly increase the efficiency of solar hydrogen cells, using biomimetics to copy the nanostructure that allows for incredible light and heat absorption. [...] Ridges running the length of the scale with very small holes on either side that opened up onto an underlying layer. The steep walls of the ridges help funnel light into the holes. The walls absorb longer wavelengths of light while allowing shorter wavelengths to reach a membrane below the scales. Using the images of the scales, the researchers created computer models to confirm this filtering effect. The nano-hole arrays change from wave guides for short wavelengths to barriers and absorbers for longer wavelengths, which act just like a high-pass filtering layer. So, what does this have to do with fuel cells? Splitting water into hydrogen and oxygen takes energy, and is a drain on the amount you can get out of a cell. To split the water, the process uses a catalyst, and certain catalysts — say, titanium dioxide — function by exposure to light. The researchers synthesized a titanium dioxide catalyst using the pattern from the butterfly's wings, and paired it with platinum nanoparticles to make it more efficient at splitting water. The result? A 230% uptick in the amount of hydrogen produced. The structure of the butterfly's wing means that it's better at absorbing light — so who knows, you might also see the same technique on solar panels, too.